Announcement Hello! 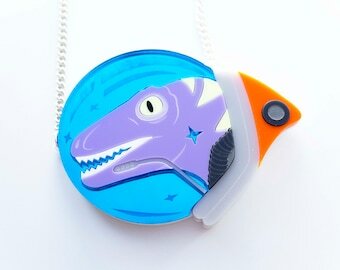 We create fun, sometimes dinosaur inspired laser cut jewellery in a range of acrylics and woods. 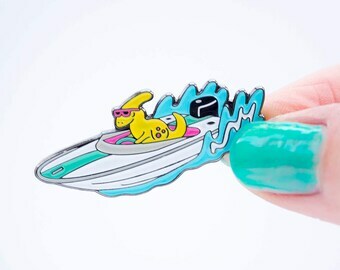 We're Brighton based and influenced by all things bright and colourful. Excellent service and design. Arrived promptly and quicker than stated. Would highly recommend and use again. 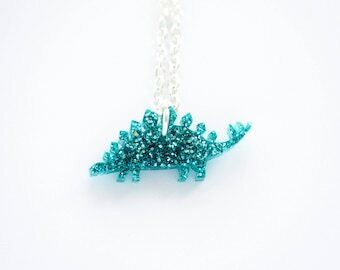 T Rex Dinosaur Necklace. Tyrannosaurus Rex Skeleton. 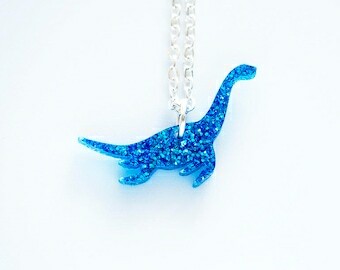 Dinosaur Bone Jewellery. Laser Cut Wood Dinosaur Necklace. 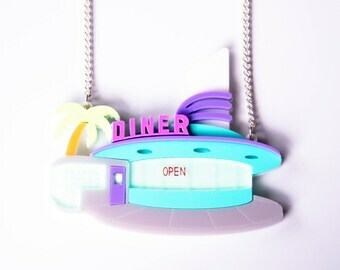 Statement Necklace. 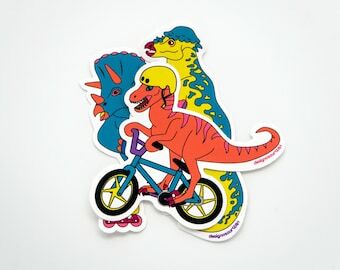 TRex. 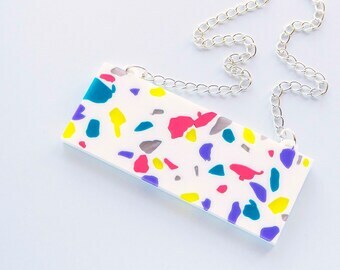 Prototyping and making our new Terrazzo inspired necklace!